A waste management company has been handed a £510,000 fine for illegally storing thousands of tonnes of dangerous combustible waste. Winters Haulage Limited, based in Hitchin, Hertfordshire, was storing refuse-derived fuel (RDF), combustible waste that is burned for fuel in energy-from-waste facilities. 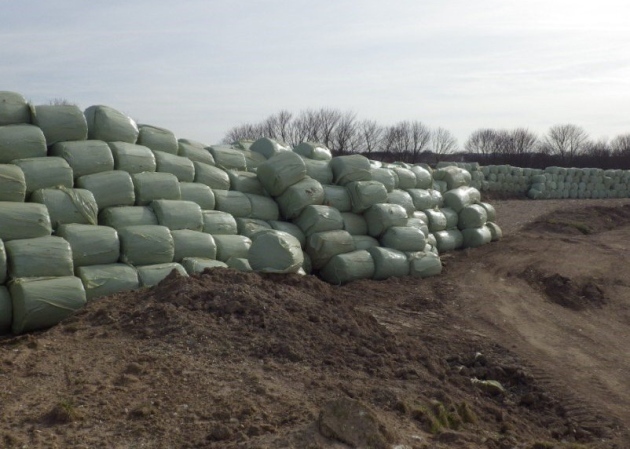 According to the Environment Agency (EA), some thousands of tonnes of baled RDF was being kept without a permit at a site next to the Royston Sewage Treatment Works between September 2014 and December 2015. The EA initially told the company to clear the waste within four months, and some was moved to a permitted site in Hitchin operated by Winters Haulage, but it was revealed that the required waste transfer notes for this move were inadequate. Moreover, around 450 bales of the waste were simply moved to another illegal site nearby, while more was buried at the Royston location, which was later found to have produced landfill gas. The EA prosecutor, Rebecca Vanstone, explained that burial of the waste would not have been permitted as the site is above a chalk aquifer, meaning it sits on a permeable rock bed that stores groundwater, which could easily become contaminated. Liam Patrick Winters, the company’s director, initially claimed he was unaware he needed a permit for the Royston site, and later said that waste may have been buried unintentionally after some bales had split. He denied there was a fire risk from the RDF, though an assessment by Cambridge Fire and Rescue Services led to the creation of an emergency plan due to the risk of acrid fumes to nearby schools, nurseries and homes, all within 2.5 kilometres of the site. Cleanup of the Royston site is estimated to cost the landowner, Anglian Water Group, which runs the sewage treatment facility, in the region of £1.9 million. £450,000 of the £510,000 fine equates to the amount of money Winters Haulage avoided paying by storing the waste without the correct permits. The company’s director was also ordered to pay £8,850 in costs and is required to carry out 180 hours of unpaid work. His actions were described by the judge at Cambridge Magistrates’ Court as deliberate and “certainly reckless”. EA team leader Phil Henderson commented: “Illegally stockpiling thousands of tonnes of waste in this manner has potentially devastating impacts on the environment, communities and transport infrastructure. “This case highlights the growing problems being faced with waste across the country and the result in court today should reassure the public that the Environment Agency is committed to bringing waste criminals to justice. Last year, the EA reported that record fines were handed out for waste crimes, reflected a concerted effort by the government to crack down on the illegal disposal of waste. 812 illegal sites were closed in 2018, equating to around two every day. Further measures to combat waste crime were set out in the recently published Resources and Waste Strategy, including the creation of a Joint Unit for Waste Crime and more powers for the EA to regulate the industry – on top of a raft of new powers that came into force last year, such as allowing officers to block access to problem and illegal sites. The average fine against a company has risen from £23,731 in 2013/14 to £147,575 in 2017/18. The regulator has called for vigilance amongst landlords as criminals are renting properties in order to dispose of illegal waste.